Well, today is the day — Health Analytics: Gaining the Insights to Transform Health Care is finally out! I promised to cover the book in more detail, so today I thought I would take the opportunity to answer some of the more common questions that I get asked about the book. The book is about transforming health care and life sciences through data-driven innovations. It describes a roadmap for growing organizational capabilities across a broad range of insights such as health outcomes analysis, clinical research, financial management, customer engagement, and personalized medicine. 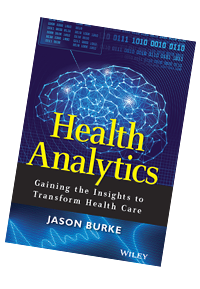 There is an About Health Analytics page on my blog that describes the book in more detail. I mainly wrote the book for industry leaders who are curious about how data can help them transform their organizations to become more innovative and competitive: value-oriented in delivery, and evidence-based in practice. It is not a technical book; you don’t need to know anything about statistics or analytics to read this book. It is mainly designed for non-technical professionals within providers, payers, pharmaceutical, biotechnology, and regulatory organizations who are trying to develop strategies and roadmaps for becoming more information driven. At the time I made the decision to write the book, part of my job was sharing the opportunities in analytics with current and potential customers. Over time, it became apparent that there was not really a resource that I could easily point to that captured the landscape. Also, I had spent more than 6 years studying the field of analytics across health and life sciences, and I had learned quite a bit about what was — and was NOT — happening in the industry. I began to feel like I had something to say — maybe unique and valuable, maybe not — but something to contribute to the discussion of health transformation. 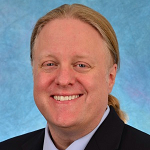 I was also looking for a vehicle to showcase some of the talent in my team (for example, Dr. Graham Hughes contributed a fantastic chapter to the book called “Best Care, First Time, Every Time”). So writing a book seemed like a good idea at the time. How did I get a publisher? That was the easiest part of the process for me. My employer at the time, SAS, has a well-established publishing group — they function both as an independent publisher, as well as partner to other publishers. This book would not have happened without them, as I would have had no idea how to sell a book concept. They did a great job in helping me develop the book idea, work through how to communicate the idea, and figure out where and how it made the most sense to take the idea forward. If you are interested in writing any books — business or technical — covering the field of analytics and data, SAS is a great place to start. In the end, Wiley opted to publish this, and it has been a really great experience. That’s hard to measure, as I tended to write in bursts. In elapsed time, it took a little more than a year, which seems like a long time until you have a contract with deadlines, and then it becomes a very fast 12 months. Since I already had tons of research on the topics I was writing about, my time was mostly spent actually developing the content. What was the hardest part of writing? The hardest part for me was managing the scope of the book. I wanted a book that was a) easily readable by non-technical executives; b) covered the landscape of opportunities in analytics, not just a single perspective; and c) wasn’t purely conceptual, but instead offered some real-world perspective on the problem spaces. Trying to strike the right balance between depth, breadth, length, and impact was really hard. If I tried to cover all of the opportunities properly, I would end up with a book 2,000 pages long that no senior leader would have the time or desire to read. But surveys are often superficial, and so much of the analytics opportunity requires showing the value hidden in the complexity (e.g., predictive modeling). So I opted for a middle road — a survey-type book that dived into specific analytical examples, challenges, and case studies — and “bookending” the overall chapter flow with a common-sense plan for how to execute these ideas. There are so many informatics books already out there, and a lot of authors have exhaustively covered topics many people associate with analytics: business intelligence, dashboards, quality metric reporting, etc. I knew going into this project that my content would be somewhat contrarian to the prevailing winds in informatics. It’s not that I don’t think quality metrics are a good idea; they are fine. I just don’t believe that the time, money, people, and attention being devoted to retrospective, descriptive statistics will produce the fundamental insights required to understand the delicate, complex balance between outcomes, costs, safety, and personalized medical decision making. I think innovative results come from innovative approaches, so I wanted a book that argues for more innovation in how we use data. Will you make much money from this book? Will I write another one? Maybe. I really enjoyed the writing process — even the mundane stuff like editing — so I could see myself doing another one. When I realized that I had something to say, the idea of writing this book became something worth doing. So I suppose if/when I have more to say, that will be the sign to do the next one. Health Analytics: Gaining the Insights to Transform Health Care is available at Amazon.com, Wiley.com, SAS.com, Barnes & Noble.com, and other retailers. The ISBN codes are ISBN-10: 1118383044 and ISBN-13: 978-1118383049. Let me know how you like it.